Erich C Hoffman, M.Sc., V.M.D. Dena L Owings, D.V.M., C.C.R.P. 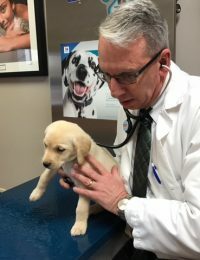 "We took our puppy Mowgli to his first veterinary appointment at the East location. The staff is very friendly, and the doctors are very helpful. We had issues with Mowgli's aggression and they gave us tips and tools to help with those issues. The staff made Mowgli feel very comfortable with plenty of rubs and treats. 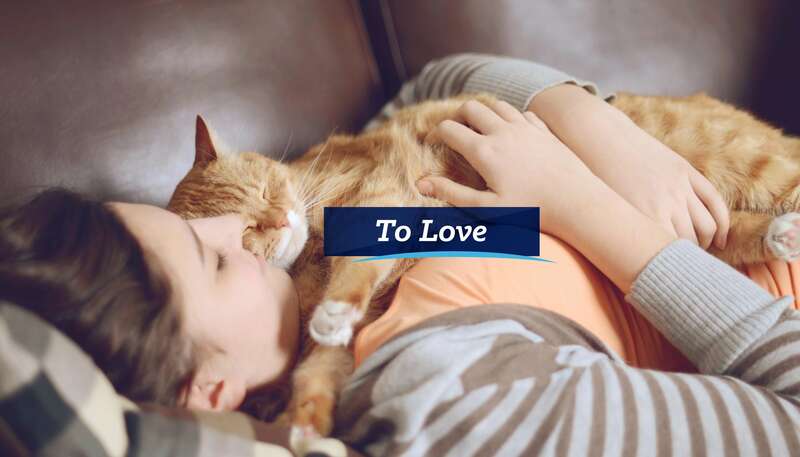 We recommend this location to anyone who wants the best care for their pet." "Recently we had to put a 16-year long time fox terrier friend to sleep. The staff was superb and very understanding. We even got a hand-written sympathy card from the vet a few days later. 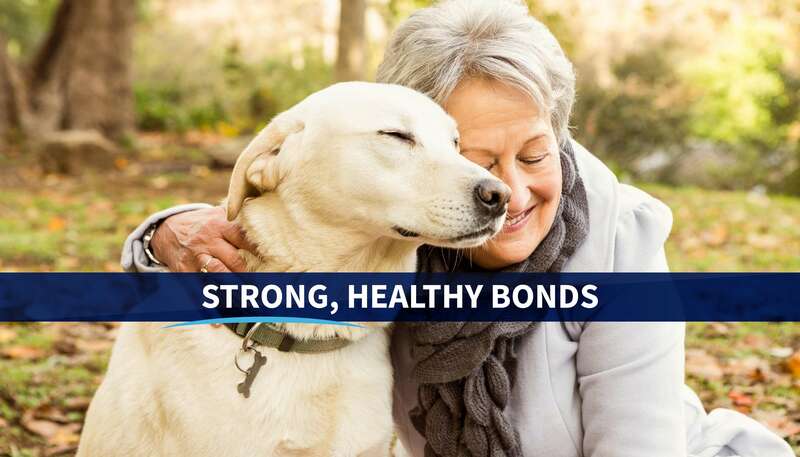 This is a great place to trust your pet's care to." "Best Veterinary Hospital ever! 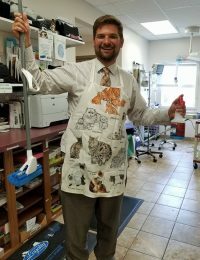 Caring, kind, and knowledgeable staff that treat your pets as if they are their own. We love Shiloh!!" 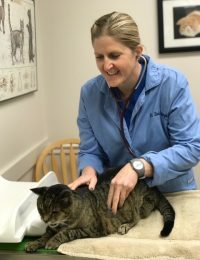 "We have found the best vet in York and that is Dr. Schneider. He has helped our dog have a few more years. We feel blessed to have found him. The whole staff are great." "Great veterinarians and vet techs! Super friendly, always willing to help and provide recommendations. They are amazing, even with my cat that HATES going to the vet and acts a fool when we get there. Receptionists are always super friendly and will go above and beyond their duties to help you out. Great, extended hours as well -- that alone makes it super convenient with my work schedule. Definitely recommend Shiloh to anyone looking for a new vet!" "Dr Schneider is like family to us. The staff are phenomenal in their professionalism and they treat our fur babies just like their own. We know we chose the best vet for us because they listen and are extremely thorough with their exams. 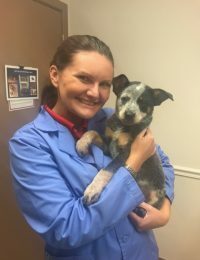 We trust them 100%"
"This was my 5-month old's first visit to Shiloh Veterinary Hospital The experience was excellent. Tucker enjoyed all the attention from everyone and especially the treats. I know he will not be afraid to come back." "The staff is wonderful, I visit the Dover location on Emigs Mill Rd. Everyone is pleasant, compassionate and available to help with my pet's needs with short notice. They remain professional, and courteous while striving to meet our needs. There's no price gouging, reasonable pricing without the hassle of the "upsell." 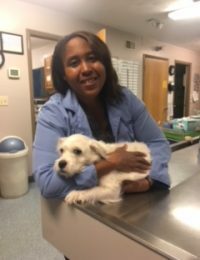 I highly recommend Shiloh Veterinary Hospital for all of your pets' needs." "Went to Shiloh Vet with my two dogs after my vet of 30 years retired. Shiloh was wonderful - it was a very good experience for all of us! 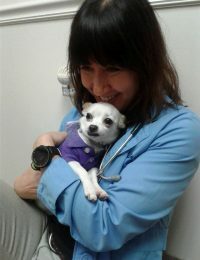 So happy to have found such a wonderful veterinary hospital so close to home!" "If you are looking for great personal attention or special problems, this place is highly recommended. 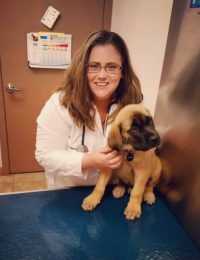 Dr. Shaberly is by far the best veterinarian that actually listened to our unique problems and goes that extra mile." "I could not ask for a better group of people to care for my pet. They are always so welcoming and caring with my dog when we show up and he actually enjoys going there to be loved and petted by everyone (literally. everyone.) and get even more attention than usual! An often stressful experience for me is significantly lessened by the caring and sensitive Shiloh team. I know they TRULY care about my dog and see the gentle spirit I am gifted with everyday." "Just recently switched from another veterinarian and we love it here! They are very hands-on (as ALL vets should be!!!) 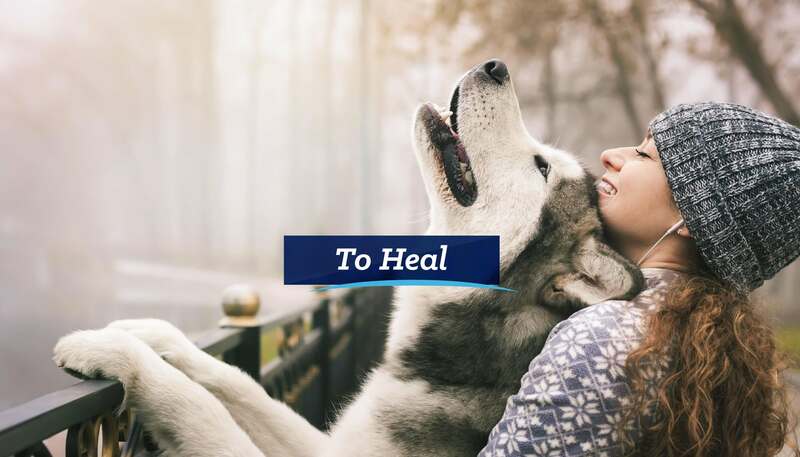 and they gave my puppy lots of love and made the experience pain-free. Thanks Shiloh Vet!" "From the second I walked in the door with our new little puppy, I was greeted by friendly faces and kind and helpful words. The experience reminded me of when I took my first child to their first pediatrician visit- They treated little Boo like he was something special. The staff was extremely friendly, the vet was patient and insightful, and the environment was welcome and clean. 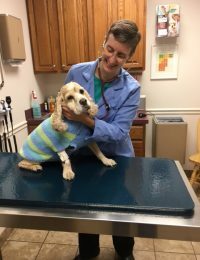 I had no idea what to expect as this was my first ever vet experience, and I was pleasantly surprised. 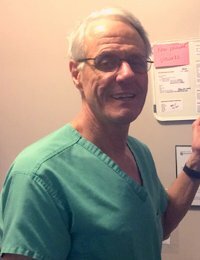 Even the other few people in the waiting room were smiling and friendly and talkative which, I believe, is also a direct reflection of the environment the staff has created." "Each time I visit, the staff are truly caring, professional, and always do their best by our pets. 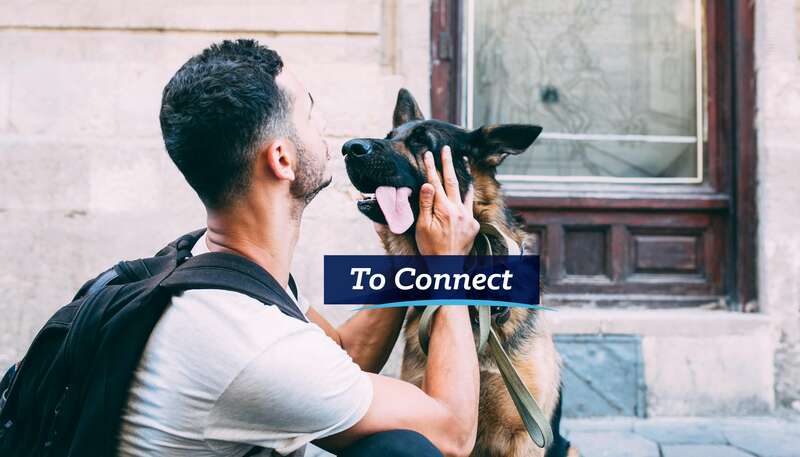 What vet office, if they have the time, comes and pets or plays a bit with your pet to help de-stress?! Also appreciate the detailed explanations given when I visit so I know exactly what is going on with written instructions to take home in case I forget something from the appointment. Like to they are an accredited practice. Wouldn't take our dogs anywhere else!!"